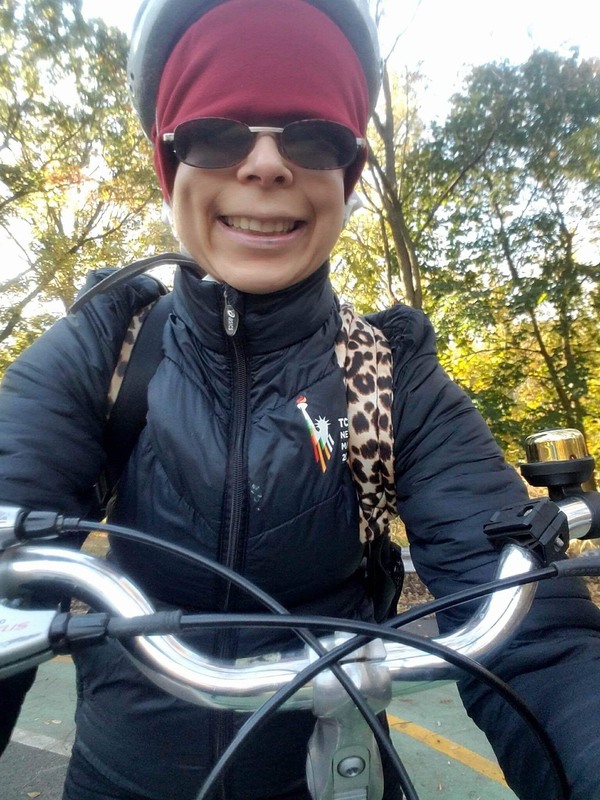 My First Day Biking to Work by Ilana Slaff, M.D. My job recently transferred me to an office only 2.2 miles away from my home. I decided since I was now living so close to my office and no longer had to go over the Throgs Neck Bridge to get to work, I would try to commute by bike. I really enjoyed riding over the new 210th Street bicycle lane. I felt much safer in the bicycle lane than just being in the traffic. I loved the fresh air, passing the beautiful trees in the park with the lovely fall colors. When I arrived at work that day, I had so much energy from even that little exercise. Unfortunately, on the way home, at an intersection when I had a green light, a car made a left turn and I had to stop the bicycle abruptly to avoid being hit. I fell and scraped my knee, but at least there were no other injuries, and I still biked to work the next day. Exercise has so many positive mental health as well as physical benefits. Published research shows exercise helps with cognition, anxiety, depression, ADHD and autism. Furthermore, schools that have incorporated intensive physical exercise have shown improvements in standardized test scores and have had less discipline problems. If children, as well as adults, had more exercise, there would be less medication prescribed for behavior problems and mental illness in general. Our streets need to be more convenient for physical exercise which would significantly benefit public health. I hope one day all the New York City bike lanes can connect together so we can bike safely wherever we want, enjoy ourselves and stay fit. Russell Lang, Lynn Kern Koegel, Kristen Ashbaugh, April Regester, Whitney Ence, and Whitney Smith, “Physical Exercise and Individuals with Autism Spectrum Disorders: A Systemic Review,” Research in Autism Spectrum Disorders 4, no. 4 (October-December 2010): 565-76, doi:10.1016/j.rasd.2010.01.006.